Flamingo Hotel and Casino in Las Vegas. The hotel has inspiration from Miami and no wonder it's called flamingo. In their garden rooms there are flamingos. 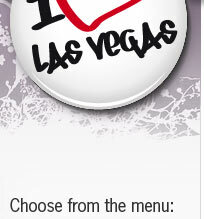 The hotel is the third hotel that opened in Las Vegas on the Strip and is among the oldest hotel in Las Vegas. It was built in the mid -40's. The hotel has a Monorail station called Flamingo and Ceasars Palace Station at the back of the house. Hotellet har flertalet restauranger, 2 utomhuspooler, spa och gym och riktar sig särskilt riktar sig till HBTQ-gäster. Who does not remember the Osmonds. Now the siblings is back together. Experience a musical evening of music memories with Donnie and Marie Osmond in Las Vegas. 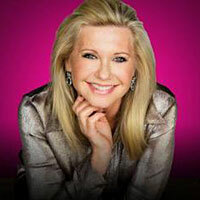 Enjoy an evening listening to Olivia Newton-John's sweet voice and nostalgic hits at the Flamingo Hotel in Las Vegas. and the rest of her hits. Do not miss this chance to see the Grammy Award-winning singer in person at his residence show, "Summer Nights". See and hear legends from the past and present. Wonderfully talented imitators imitates known artists as Michael Jackson, Elvis, Madonna, Cher, Britney Spear. They both look and sound like the celebrities. Note. possible change in the artistic content may occur. Beach Club - Hamada of Japan - Java Coast - Margaritaville - Steakhouse46 - Tropical Breeze Cafe - Voga. The first owner of the hotel was the legendary maffia leader Benjamin (Bugsy) Siegel, and he opened the casino on december 26, 1946. At a cost of $6 million to build. The theme is Flamingos and Miami. The hotel is also known as "the Pink Hotel". Inside the Flamingo, you can also see live Flamingos in "the Wildlife Habitat." Here you'll also find other animals as swans, ducks and turtles, etc. Admission is free. The first movie about "Ocean's Eleven" from 1960 was recorded here, a short scene from the 2001 version was also recorded here. Also Elvis Presleys movie "Viva Las Vegas" has been filmed here. 1967 (2 months) "The Supremes" performed here . Casino games include Blackjack, Blazing Sevens, Caribbean Stud Poker, Million-dollar Keno, Craps, Let It Ride, Poker, Pai Gow Poker, Roulette, 2.100 slot machines, Megabucks and Super Megabucks. There are also poker room.